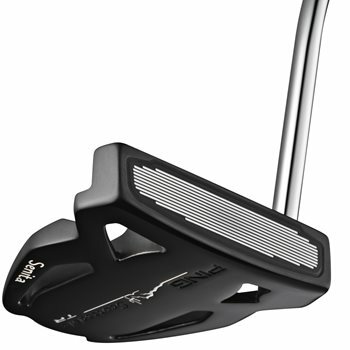 The Ping Scottsdale TR Senita putter features a variable-depth-groove insert for a smooth roll and improved distance control. The grooves are deepest in the sweet spot (middle) and get gradually shallower as you go towards the perimeter of the insert. This technology allows for maximum energy transfer and counter acts the loss of energy on off-center hits. The Senita is a high MOI, face-balanced mallet for players whose stroke type is straight-back and straight-through. The adjustable model comes with the adjustable shaft so you can set the length to your preference. Ping Putter tool is required and not included.